Samsung has started pushing out a new update to its Galaxy S5 mini smartphone. 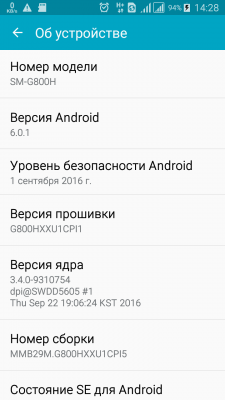 The update – which is currently rolling out in Russia, and is hitting the device’s Duos variant – brings along Android Marshmallow (version 6.0.1). Weighing in at over 800MB, the update bumps the software version to MMB29M.G800HXXU1CPI5. There’s currently no information on what other changes (if any) are included, as well as if and when other markets will get the update.